Grand Challenges in Shape-Changing Interface Research – ixd! Shape-changing interfaces have emerged as a new method for interacting with computers, using dynamic changes in a device’s physical shape for input and output. With the advances of research into shape-changing interfaces, we see a need to synthesize the main, open research questions. 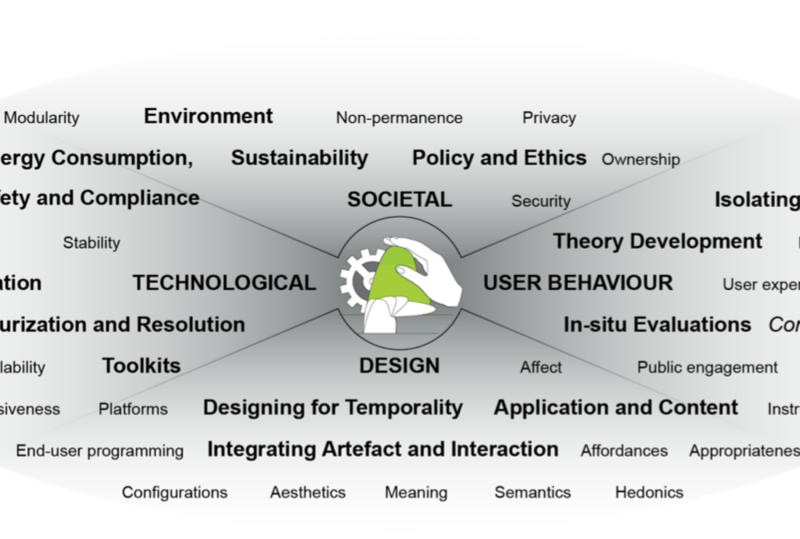 The purpose of this synthesis is to formulate common challenges across the diverse fields engaged in shape-change research, to facilitate progression from single prototypes and individual design explorations to grander scientific goals, and to draw attention to challenges that come with maturity, including those concerning ethics, theory-building, and societal impact. In this article, we present 12 grand challenges for research on shape-changing interfaces, derived from a three- day workshop with 25 shape-changing interface experts with backgrounds in design, computer science, human-computer interaction, engineering, robotics, and material science.